The Congress on Wednesday claimed that the Prime Minister Narendra Modi copied the objectives cited by Pakistan in June 2015 for its decision on demonetization. NEW DELHI: The Congress on Wednesday claimed that the Prime Minister Narendra Modi copied the objectives cited by Pakistan in June 2015 for its decision on demonetization to effect similar move in the country on November 8. The Opposition slammed that the Union Budget presented by the Finance Minister Arun Jaitely for lacking directions and purpose. The Congress leader also stated that it was evident that the Prime Minister thought that Pakistan has taken a right step and we too should follow it. “For the first time, we followed Pakistan. It is unprecedented,” said Moily, while adding that after a meeting with the chiefs of the three wings of the defence forces in the morning of November 8, it “dawned upon Modi that he should now carry out a surgical strike against the economy and the people of the country”. The Congress leader also slammed the Budget for being “timid” and lacking in forward moving measures. Punching further holes in the Budget, Moily quipped that it appeared that the only economist in the government was the Chief Economic Adviser Arvind Subramanian, but even his advices were ignored by the Finance Minister. “The Economic Survey presented before the first budget of the Modi government had said that fundamentals were very strong and the legacy was good. 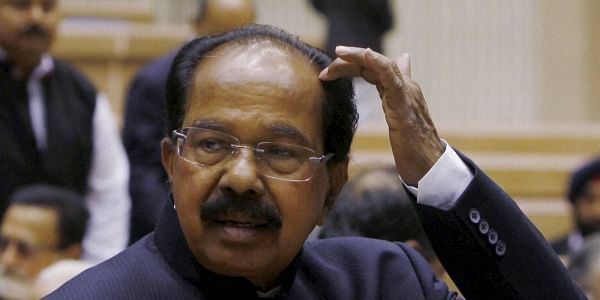 Therefore, it’s wrong to say that the Modi government inherited a stressed economy,” said Moily, while adding that while Indira Gandhi by nationalising banks had brought banking to the doorstep of the people, the Prime Minister is taking away banks from the poor. "This is committing debauchery with the currency. People who oppose your policies are criminals, black marketeers and anti-nationals, while people who support your policies are called patriot," said the Congress leader. However, the BJP MP Hukum Dev Narayan Yadav, while defending the Budget, said that the Modi government brought back the focus on farmers, rural areas and the marginalised people, who had become poorer in the times of the Congress rule.